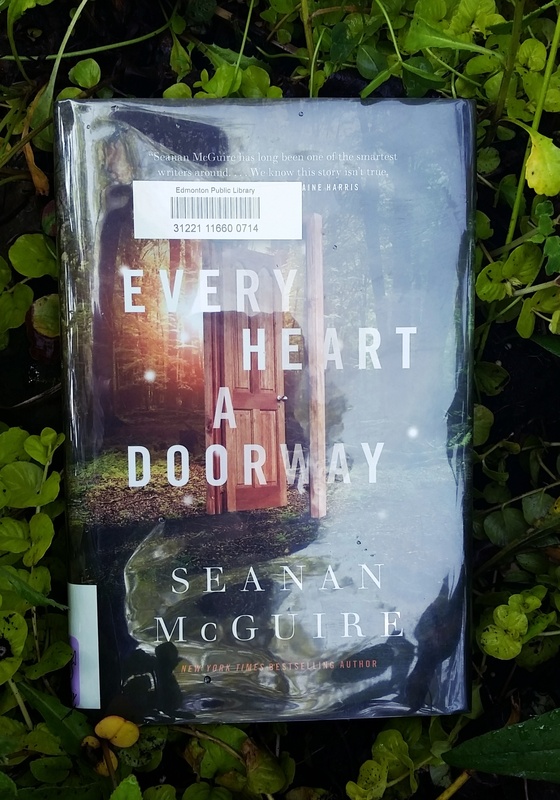 Every book has a story: If I remember correctly, I read about Every Heart a Doorway on an up-and-coming-best-fantasy list. It was in the midst of my reading slump, where it seemed like I was reading nothing but articles about new books to read. I decided to request it from my library, and since it was a new release, the waiting list was pretty long. I was quite into The Falcon Throne by the time I got the notification that Every Heart a Doorway was available–in fact, I had forgotten that I had requested it. I knew that it would be almost like whiplash going from something as epic and violent as The Falcon Throne to something quieter and smaller, but I wanted to keep riding the wave of actually reading books. So I quickly washed away the bloodshed and betrayal in my brain and prepared to go to Eleanor West’s Home for Wayward Children. The habit of narration, of crafting something miraculous out of the commonplace, was hard to break. Narration came naturally after a time spent in the company of talking scarecrows or disappearing cats; it was, in its own way, a method of keeping oneself grounded, connected to the thin thread of continuity that ran through all lives, no matter how strange they might become. Narrate the impossible things, turn them into a story, and they could be controlled. It was the premise of Every Heart a Doorway that enticed me most: the idea of a school–a haven–for children who went through fantastical portals and experienced adventures and magic and danger. I imagined a cast of characters that would be like putting Dorothy Gale, Alice, the Pevensie children, and so many other characters who I envied as a child for finding those magical doors, being put up in school together. Sharing their stories, their traumas, their longing for those places. I’ve waxed before about how portal fantasy was my gateway–as it is for so many other people, I think–to opening my imagination and to seeking out new worlds on the page. If I couldn’t find a wondrous wardrobe or receive my acceptance letter to Hogwarts, at least I could read about them. It’s hard to recover from the shattering of those kinds of expectations–literally an entirely different book than the one I had imagined. When it became clear that it would be all about the “normal” world and how to let go of the fantasy, it was too late to win me back. I couldn’t get into the characters–I found heroine Nancy the most doormat-ish of them all. I couldn’t even get pulled into the mysterious murders that begin to take place around Eleanor West’s Home for Wayward Children. In this case, my desire to like a book may have been my undoing. It’s not on Every Heart a Doorway for being the book I didn’t expect it to be. Fortunately/unfortunately, it didn’t leave enough of an impression to send me spiralling back into my reading drought.